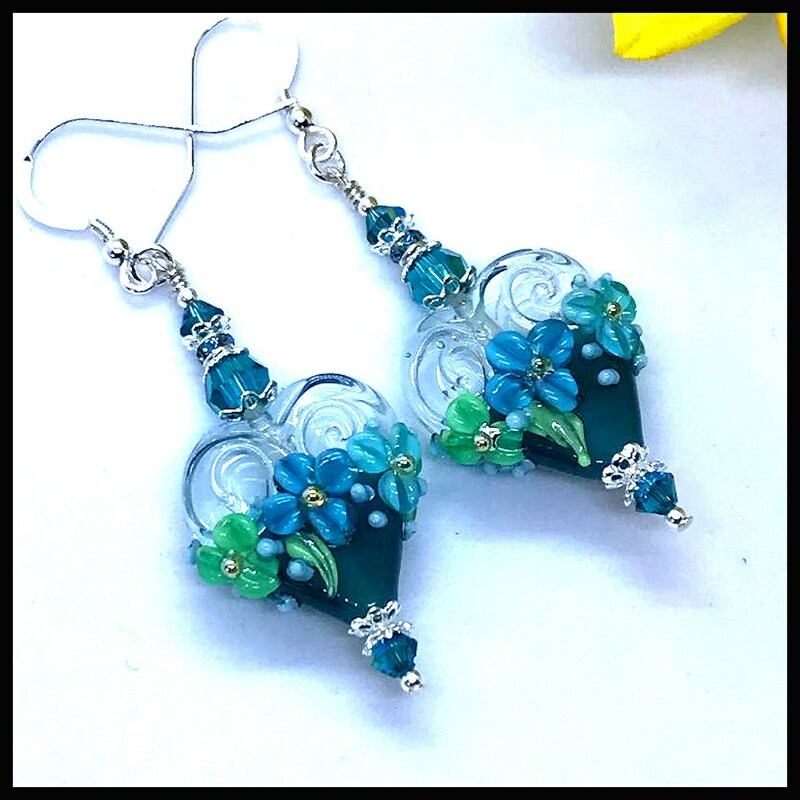 The spectacular earrings are an amazing teal floral lampwork hearts. The artisan lampwork hearts are accented with Indicolite Swarovski crystals, sterling silver bead caps and sterling silver 20 gauge earwires. These one of a kind earrings are a "must have".